The Memorial Candle Program has been designed to help offset the costs associated with the hosting this Tribute Website in perpetuity. Through the lighting of a memorial candle, your thoughtful gesture will be recorded in the Book of Memories and the proceeds will go directly towards helping ensure that the family and friends of Orval Henderson can continue to memorialize, re-visit, interact with each other and enhance this tribute for future generations. Obituary for Orval Henderson Jr.
Orval Lloyd Henderson, Jr. “Papa”, 88, passed Sunday, March 17, 2019 following a brief illness. He leaves his wife of 28 years, Martha (Kusiak) Henderson; stepdaughter Sarah Hansen and her husband Troy; three grandchildren, Ian, Emma & Alyssa; a sister and brother-in-law, Judy and Leo Stock of Boonville MO; and four nephews, Jon, Joe, Jeffrey and Todd Stock . He graduated from Central Methodist College in 1952 with an AB and The University of Missouri in 1962 with a MA. He enlisted in the Missouri National Guard in 1948 retiring in 1990. 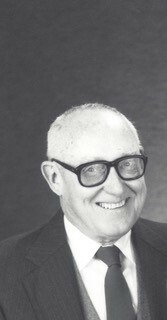 Orval was an Assistant Director with the Missouri State Parks retiring in 1989. Besides love of his family, Orval’s passion was history, especially history of the early Missouri Militia, now the Missouri National Guard. He also loved his 80-acre get-away just east of Cuba MO. Services: Bopp Chapel in Kirkwood, MO; visitation March 22 from 2-4pm, funeral at 4pm. Burial Saturday, March 23 at Walnut Grove Cemetery, Boonville MO at 1:30pm. In lieu of flowers the family suggests donations to the Missouri Militia Fund of The State Historical Society of Missouri, 1020 Lowry St., Columbia MO 65201.